DOWNLOAD YOUR FREE 18 MINUTE GUIDED RELAXATION AUDIO. THAT REDUCES STRESS, ANXIETY, YOU"LL SLEEP BETTER , AND LEAVING YOU RESTORED! Lie back and connect with your inner calm by doing…well, nothing! ENJOY THIS FREE 18 MINUTE GUIDED RELAXATION AUDIO. YOU'LL SLEEP BETTER, BREATHE EASIER, AND SHINE BRIGHTER! 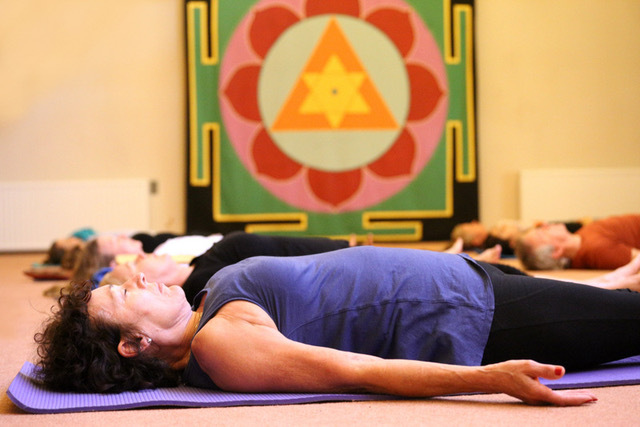 Your Yoga Nidra deep relaxation practice is on it’s way to your inbox. If its not in your primary inbox please check your junk email. everything is taken care of for you? You’ve found it! You’ll have time to destress. Rest. Be pampered. Be amazed. the most beautiful parts of this world. Plus… weekly yoga and meditation classes at South Narrabeen with a focus on stress management and balancing health and wellbeing. A unique retreat using the power of sound and sacred Indian music to introduce you to your voice. We are delighted to offer you a weekend retreat right here in Australia which will soothe your senses / heart. and ignite your soul! Nepal is a rich, beautiful and diverse country; from snow capped mountain ranges to temples and monasteries. Its landscape and culture provide an abundance of possibilities for the yogic traveller. Nepal is the perfect canvas on which to explore the transformative power of yoga and meditation. "If you are ready to let go of the past, discover your life's purpose and reconnect with the adventurous and passionate YOU, then it's time to shake off the shackles of everyday life and join me on this spiritually rich journey to Nepal!" BALI Yoga Retreat ~ RELAX, REJUVENATE, REJOICE! You won't be ticking off the tourist sites, rather you'll be having an authentic experience of rubbing shoulders with the locals and participating in the rich culture and spiritual practices that Bali offers... and lots of yoga and meditation! This course is perfect for those who are intrigued by the potential for yoga to help with stress, anxiety, and the imbalances caused by a non-stop lifestyle. Complete beginners, be reassured: you will be welcomed and supported as you take your first steps towards incorporating the power of yoga and meditation into your life! Discover and explore your chanting voice and its healing possibilities under nurturing and supportive guidance of Sudhanshu Sharma. A four-stringed Indian drone instrument, called the Tanpura, will provide the backdrop to paint your picture of the sound vibrations coming through you. Yoga for the Soul Retreats specialise in small group, spiritual, yoga and meditation retreats to diverse and amazing countries, such as Nepal, India and Bali. Each retreat is as unique as the country visited. You’ll experience the treasures that Bali, India and Nepal offer with their rich and diverse cultures and deep spiritual practices. You’ll stay in comfortable, yet traditional accommodation with character and charm. You’ll travel with like minded people with a purpose whilst deepening your daily yoga and meditation practice. Join a small group of like minded yogis for a trip of a life time on 20 October - 2 November 2019..
You can expect a depth of practice in the teachings of yoga, meditation, Yoga Nidra, Mantra chanting, kirtan with an experienced teacher. All accompanied with classical Indian instruments – tanpura and harmonium. Travel with a purpose know when you go on retreat you're supporting those less fortunate. 5-10% of nett profit goes to supporting 6 young children in Nepal and 2 disadvantaged women in Bali. Ever wanted to whisk away to a quiet jungle village by the sea and immerse yourself in yoga, self-awareness and feel completely at peace with yourself and the world around you? Well, here is a little hint of what a flooring experience this Yoga retreat in Bali really is. YOGA FOR THE SOUL RETREATS WITH CHETANA AT THE HELM HAS BEEN ONE OF THE MOST WONDERFUL TRAVEL EXPERIENCES OF MY LIFE! AN EXPERIENCE THAT WILL STAY WITH ME A LIFETIME... THANK YOU CHETANA!!"